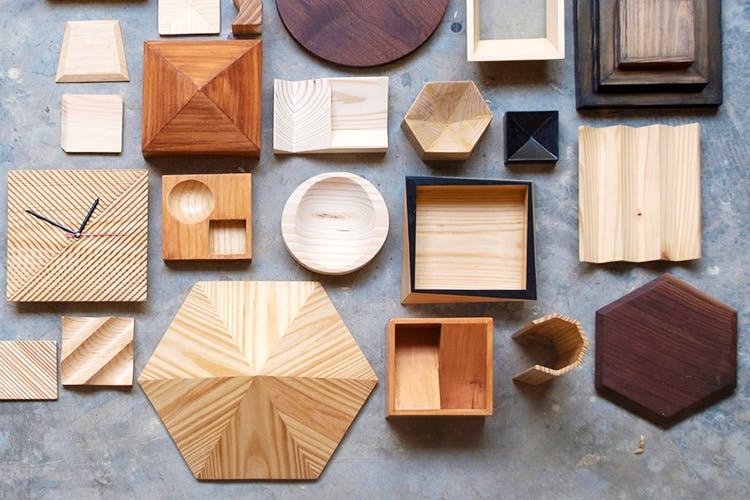 With a focus on wood and wooden products, Objectry makes home decor products that are minimalistic and slightly industrial. Sugandh Kumar and Aanchal Goel worked for three years in a firm that works with metal, and soon wanted to experiment with wood as well. Objectry is that experiment come to life. We love the aesthetic that the duo have tried to build: The products are industrial, minimal and slightly quirky; all great conversation starters too! We’re super big fans of their clocks and desk sets, as well as the utilitarian boxes and stationery sets. The geometrical shapes are a tough thing to achieve when it comes to materials like wood, and we know that they're going to last us a lifetime. They are planning to work with metals and ceramics soon, too. Each piece has its own personality and they come in a variety of finishes. After all, with wood, no two pieces will be the same. They are currently delivering across Delhi NCR and will soon retail on a variety of e-commerce websites.